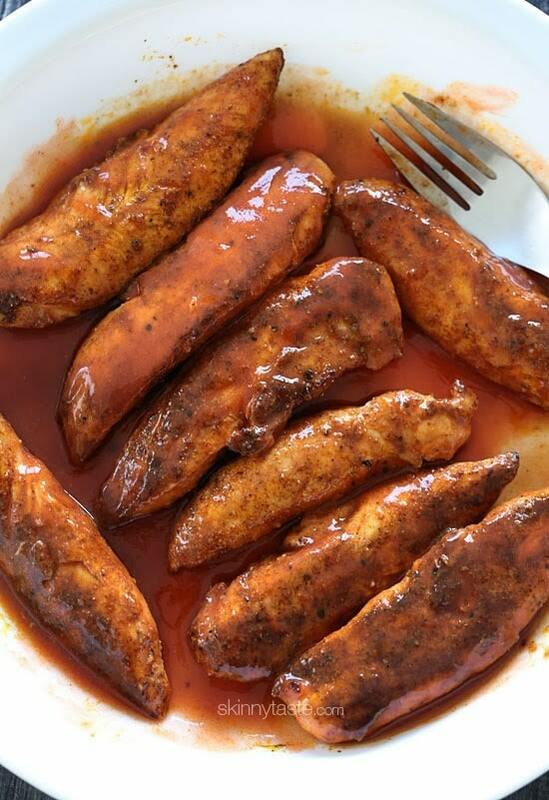 Quick and easy – these buffalo chicken strips are spicy and delicious! 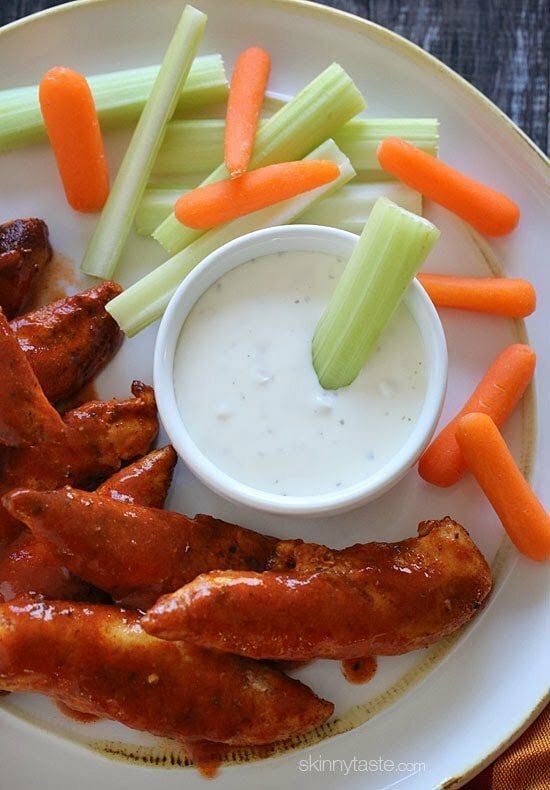 I like to serve them with my homemade skinny blue cheese dressing and celery sticks on the side for a hot and spicy appetizer. These are so good, and perfect as a low-carb or keto appetizer, or serve it over salad to make it a meal. 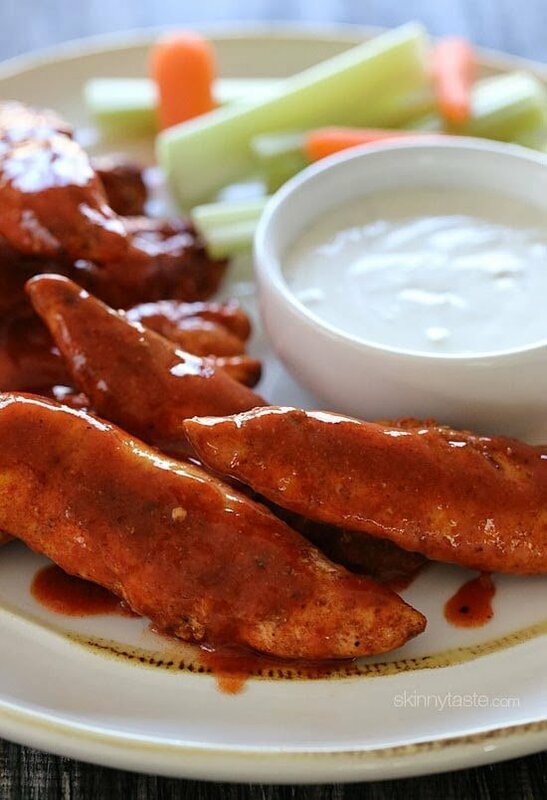 Quick and easy, they take just 10 minutes to make! 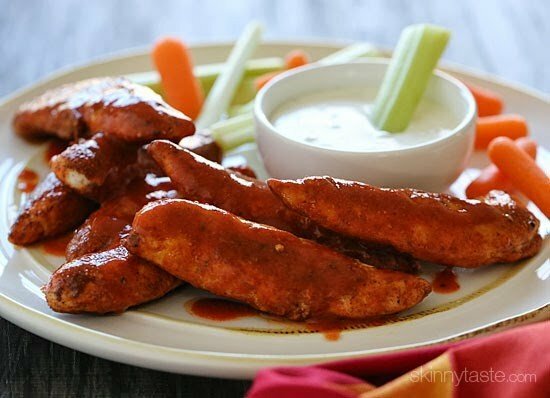 Some of my other favorite party apps perfect for the Super Bowl coming up are Jalapeno Popper Nachos, Hot Spinach Dip and Baked Sweet Potato Skins. 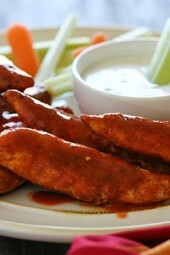 Combine garlic powder, paprika, chili powder and black pepper in a medium bowl. 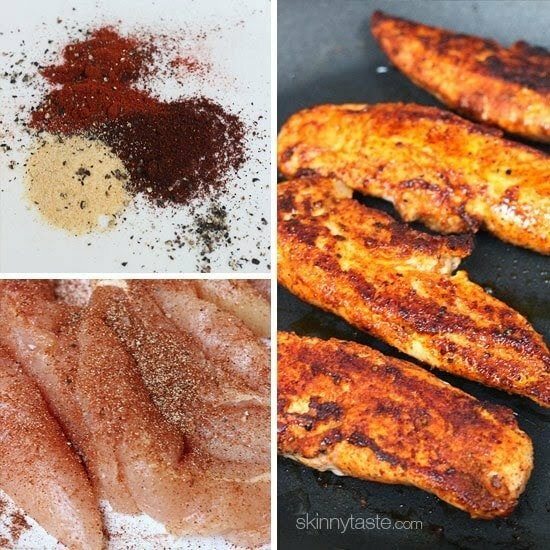 Season chicken with spices and toss to evenly coat the chicken. Heat half of the oil in a large non-stick sauté pan over medium-high heat, when hot add half of the chicken and cook until golden, about 3-4 minutes, turn chicken and cook until center is no longer pink. Set aside; repeat with remaining oil and chicken. Pour the hot sauce over the chicken tossing well.